It has been an extremely volatile year. From an Indian bond market perspective, as well as from the global market perspective, it has been a rollercoaster ride. Bond markets have had a rollercoaster ride in 2018. 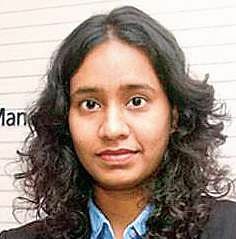 We talk to Lakshmi Iyer, Chief Investment Officer of Debt and Head of Products at Kotak Mahindra Asset Management Company, on the outlook for bond markets in 2019 to upcoming regulations. How to look at bond markets in 2018 and what is the outlook for 2019? It has been an extremely volatile year. From an Indian bond market perspective, as well as from the global market perspective, it has been a rollercoaster ride. As we near the end of 2018, things are getting a little bit more stable and optimistic. My sense is that if these macro tailwinds — lower crude, comfortable CPI and lower current account deficit — will continue. But 2019 would be less turbulent. Volatility may remain, but we are looking for some greener pastures in 2019. What about the returns expectations? I think the bond yields have almost flattened. We started off at 7.45-7.40 and we are ending at almost the similar level. The long bond investors have hardly earned any substantive returns. Government bonds have rallied, but corporate bonds have not. So, anybody allocating money in corporate bond overweighted funds in 2019 is likely to get better value for the buck. Does the regulatory frame work give more options for retail investor? Corporate bond market by its nature, the secondary market is quite illiquid. I would urge any retail investor who wants to participate in a corporate bond that mutual funds are definitely a much better vehicle. Indian mentality anyway is loaded with FDs, which are high on illiquidity. There are regulations being eased to invest in government bonds, but there are also passive gilt funds in which investors can participate. While there is an enabler available, I am not sure how much of it will gain retail popularity. It may not take off in a very big hurry. What about the side pocketing that SEBI has announced for debt funds? Side pocketing as and when the final details come out will be an enabler. It is not to say that mutual funds will be given license to take on more credit risk. That is not true. It’s (like) an airbag, which is given in a vehicle not with an intent of causing an accident but to come in handy if an accident happens. The government has proposed to set up a debt ETF. What is it going to be like? This is being largely done to create a pool of public sector enterprises that may not be readily accessing bond markets. Taking that pool to the public at large gives them a better pool and better access to money to PSUs. It’s a good initiative that gives them access to money. It can also help in bringing down the cost of funding for them. I am not 100 per cent sure how it will trade in the secondary market. Because debt per se, people are not used to trading on exchanges. But as an initiative, it’s a fair one.